Explore a charming historic downtown area filled with unique shops and restaurants, savor the flavors of Texas-made wine in a rustic tasting room, and ride on an old-fashioned train. These are just a few of the things to do in Grapevine, a thriving small town nestled in the heart of the Dallas and Fort Worth area. With its wealth of wineries, Grapevine is one of the top destinations in Texas for wine lovers. Yet the many flavors on tap only tell part of this town’s story. After all, Grapevine has just as much to captivate those who enjoy the finer things in life as it does those who love playing in the great outdoors. Read on and you’ll see a handful of the many great things to do in Grapevine. Climb Aboard the Grapevine Vintage Railroad! You might think that traveling anywhere in Texas by train is a holdover from the distant past, but in Grapevine, it’s one of the top things to do. Climb aboard the Grapevine Vintage Railroad and you’ll be transported to a different era of transportation, when passenger trains were the primary means of travel. 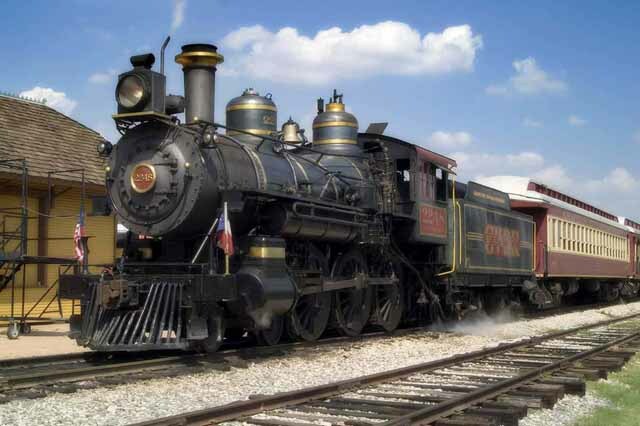 The Grapevine Vintage Railroad takes you from Grapevine to the Fort Worth Stockyards. Along the way, you’ll enjoy the scenery as the cabin sways and you hear the train’s wheels roll over the steel tracks. Once you arrive at your destination, you can either explore the area or stay on board for the Stockyards Trinity River Ride and ride on to Trinity Park and the historic railyard. The Grapevine Vintage Railroad offers its standard rides from February through December. There are a variety of special rides you can go on, including a Jazz Wine Train excursion and the always popular North Pole Express. Check out the railroad’s website for more information on schedules and rates. Any town named “Grapevine” has to be the place to go for wine, right? In this case, the answer is a resounding yet. Visiting one of the nine local wineries in Grapevine is one of the top things to do in town, so if you’re the type who savors a glass of red or white, then you’re in the right place. In fact, Grapevine is home to the premier Urban Wine Trail in Texas, the Texas Wine and Grape Growers Association, and GrapeFest, the largest wine festival in the American Southwest. One of the best places to experience Grapevine’s wine scene is in, you guessed it, the town’s historic downtown area. There are seven wineries and tasting rooms located along Main Street - including the likes of Messina Hof and Bingham Family Vineyards - you can visit. Participate a daily tasting at Homestead Winery, located in a 100-year-old Victorian home just a block from Main Street. If you’re looking to tour a real Texas vineyard, travel to Delaney Vineyards & Winery. This 8,000-square-foot winery resides within a captivating building that resembles an 18th-century French chateau set among 10 acres of verdant grapevines. Regardless of the winery you go to, you’ll get to sample wines made with grapes grown right here in the Lone Star State. It doesn’t get any better than that. 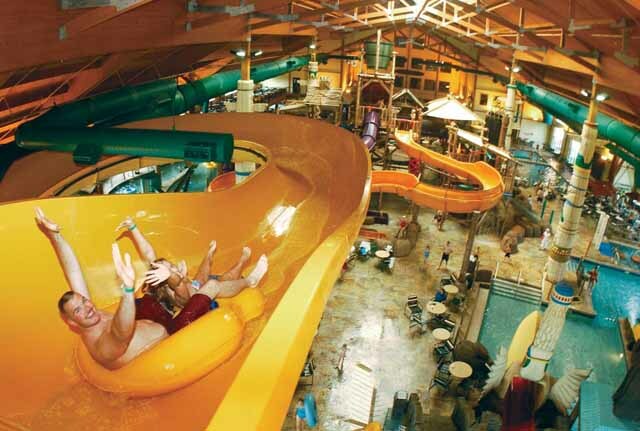 For thrills and spills (but no chills), Grapevine has a unique attraction that sets it apart: the indoor waterpark at Great Wolf Lodge. Step inside this enormous waterpark and you’ll have plenty to do. Get your adrenaline pumping with a ride on the Coyote Cannon, which takes you on a 40-foot drop into a mind-bending water-jet-fueled vortex, or descend four stories through swift banking turns on Alberta Falls. When you’re ready for a break, relax in the soothing waters of the South and North Hot Springs. Special rides for the younger riders abound, and attractions like the Fort Mackenzie water tree house provide the ideal space for your family to play together. The entire waterpark is kept at a pleasant 84 degrees, so it’s available in all four seasons when it’s raining, shining, or even snowing. Before you get your swimming trunks and beach towel, you should know that only guests of the Great Wolf Lodge can play in the waterpark. Grapevine’s historic downtown district reflects the eclectic heart and soul of the city itself. Stroll along Main Street and you’ll pass one charming 19th-century storefront after another, each of which is full of its fair share of surprises. Shop for that perfect addition to your wardrobe at one of the many boutique clothing shops in the area, then check out the displays at one of the several art galleries that have their own unique theme. Follow that up with a delicious meal at a locally owned American eatery or Italian restaurant, or get your caffeine fix at Redefined Coffee. Along with all the shops and restaurants, downtown Grapevine is the place to be for live music and other types of performances. The grandest of these stages can be found in the historic Palace Arts Center, a beautiful art deco-style building that stands out on Main Street. Along with the occasional concert, the Palace Arts Center hosts regular screenings of classic movies like Willy Wonka and the Chocolate Factory and Indiana Jones and the Temple of Doom. As if all of this isn’t enough for you, downtown Grapevine hosts some of the largest events in the Dallas and Fort Worth area, such as the GrapeFest wine festival and Main Street Fest. In December, Main Street is illuminated by more than a million lights when it is transformed into The Christmas Capital of Texas throughout the holiday season. You can have all these experiences without ever needing to get back in your car, since Grapevine’s Main Street is widely considered to be one of the most walkable places in the Dallas area. Grapevine may be best known as a destination for wine lovers and window shoppers, but it’s just as great of a place to be if you love spending time outdoors. Head just a few minutes north of Historic Downtown Grapevine and you’ll reach Lake Grapevine, a scenic 8,000 acre lake surrounded by beautiful lush tree-covered rolling hills. At Lake Grapevine, the possibilities are endless. Go out for a day in your boat or kayak or try your luck at catching one of the largemouth bass or white bass that can be found in abundance. If you’d rather just kick back and relax, sign up for a chartered sailing trip or go on a romantic cruise under the moonlight. Lake Grapevine’s aforementioned shoreline offers a range of land-based fun, as well. Immerse yourself in Grapevine’s North Texan beauty while you traverse the nine miles of wilderness trails. The parks near the lake, including Oak Grove Park and Meadowmere Park, have an additional 26 miles of paths that are among the finest in the Dallas and Fort Worth area for hiking and cycling. Of course, you don’t need to work up a sweat to savor an afternoon at Lake Grapevine. Simply find a patch of grass in one of the lakeside parks, lay out a blanket, and admire the stunning views.